From the very first page of Adjei-Brenyah's debut collection of short stories you are drawn into his surreal yet all-too-real world. 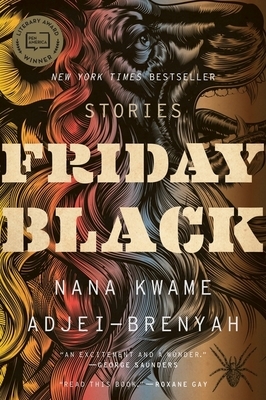 By creating an exaggerated and expansive world, Adjei-Brenyah first sends you off on a fictional journey until he suddenly rips you back to reality by pulling apart the visceral experiences of racism, poverty, loss, capitalism, and violence. The conclusion of the very first story will leave you haunted yet ready to see what else he has to say. Friday Black is a stunning debut from a young writer whose unique voice is an important addition to literature.